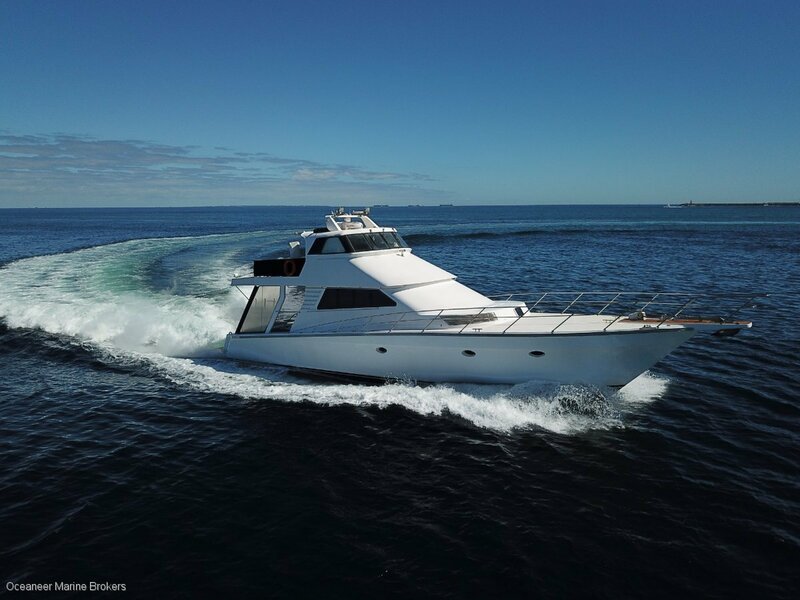 SN 1051 – a Sea Chrome Marine Charter Vessel PRESENT ALL OFFERS! 22.9m x 5.55m in 2C survey, built in 2000 and powered by 2 x Detroits. Speeds of 15/25 knots. Quality decor throughout is included in this well appointed vessel. Includes skylounge, sundeck and a large saloon which flows out to a large aft deck entertaining area. This is a brilliant 75 Conquest in charter survey with fantastic sea-keeping abilities. Vessel is well worth investigating if you're looking for a blue-water cruiser. Please phone or email the office for full specs and photos.